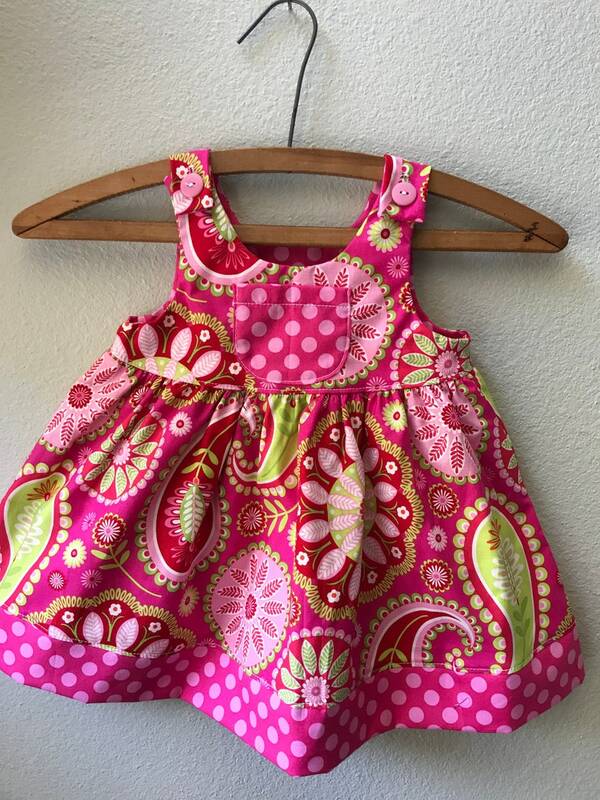 Little girls sundress made of 100% cotton print in bright pink and green paisley print . 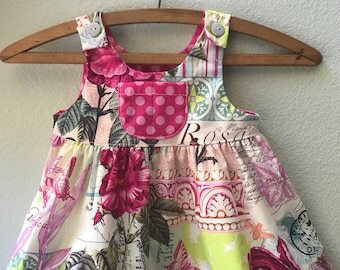 The sundress skirt border, pocket and bodice lining are made from a coordinating bright pink polka dot print. 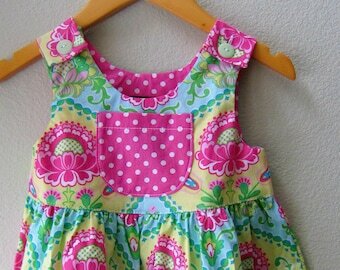 2 pink buttons fasten at the dress shoulder. Perfect for your summer vacation, the beach or for going back to school in style. 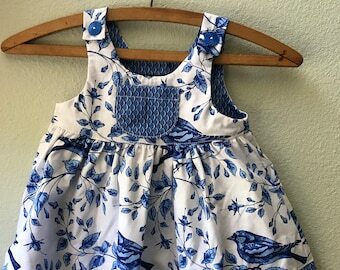 The sizing is generous on this sundress and the size usually correlates to the age of an average sized child. 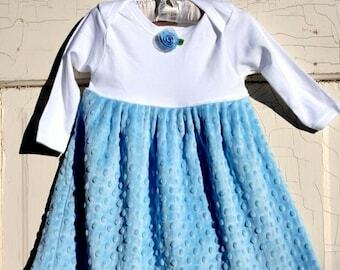 Made from extremely high quality cotton this dress will last and last through repeated washings. Please specify size when ordering. Sizes available in 6 months- 7 years. Purchased for twins, great quality and of course CUTE! International customers are responsible for all fees associated with shipping to their respective countries. Orders that are shipped to countries outside of the United States may be subject to import taxes, customs duties and fees levied by the destination country. The recipient of an international shipment may be subject to such import taxes, customs duties and fees, which are levied once a shipment reaches your country. Additional charges for customs clearance must be borne by the recipient; we have no control over these charges and cannot predict what they may be. Customs policies vary widely from country to country; you should contact your local customs office for further information. When customs clearance procedures are required, it can cause delays beyond our original delivery estimates. All international orders will have full value declared on customs forms.